The Korean motor company, Hyundai Motors, is all set to complete its 15th successful year in the Indian car industry. The company has planned a unique and different way to celebrate this achievement and is all set to launch a Celebration Edition for its well-known Santro Xing series. The limited produced edition of Santro Xing is available on the GL Plus Model at a whopping INR 381,268 in the ex-showroom of Delhi. 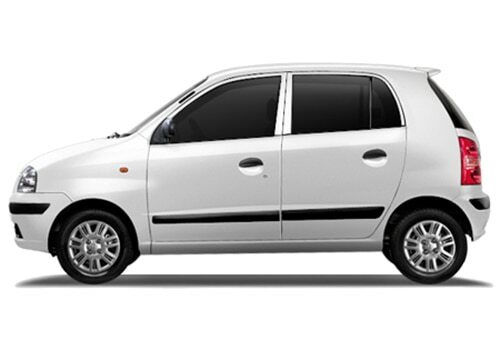 The Hyundai Santro Xing price has been competitively tagged to allure the Xing fanatics and offer better competition in front of its contemporaries. Speaking of the Hyundai Santro Xing features, the hatchback features six new amazing features which include newly designed body graphics, chrome trimmings at the back side, rear parking sensors along with LED display that went missing on the present models of Xing. The other exciting elements added to the alluring list of features comprise of rear sun blind, new floor mats and Blaupunkt Audio System. The company is ready to offer a finance option of .44% to allure the buyers. With the slow pace of automotive industry and growing competition, car manufacturers are continuously looking for launching new products in the market to keep the customer engaged in their products and maintain brand loyalty. One such example was the recent launch of the much spoken about Gran i10 hatchback which was marked for a September release. 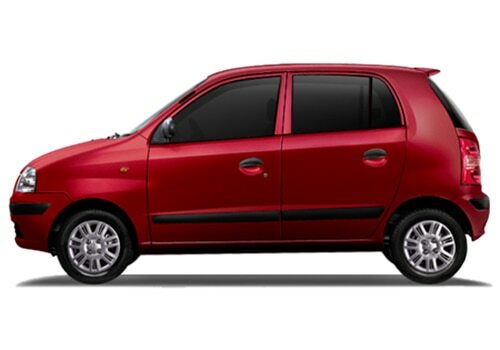 Seeing the launch of this i10 hatchback, Hyundai Santro Zing planned to launch the Celebration Edition of Xing as the present stock of the variant has been witnessing a constant dip in the sale and with the release of diesel hatchback of Grand i10, the sale is expected to fall further. However, the company has made some amazing sale arrangements before the launch of the “Celebration edition” to prevent its failure. The car will be available in Sleek Silver and Coral White colour options. Buyers will also have a choice to select between petrol and LPG engine variants. Hyundai cars is sure that the launch of this new edition with amazingly new features will surely help the company to revive its sales which has now entered into oblivion. A compact sturdy celebration edition at a cost effective price will surely attract the middle class buyers of the India. Check out the amazing Hyundai Santro Xing pictures to see the changes made by the company on the exteriors as well as interior. The launch of this edition is a thanks giving gesture of the company to its buyers for always believing in it. This is the same model that positioned its maker at the number 2 position in the Indian automotive industry sometimes back. However, we impatiently await the release of this new edition. Hyundai also launched a iTech version of Hyundai i10 with some exciting new features.